Raymund Magdaluyo is one of the Philippines’ most successful restaurateurs. 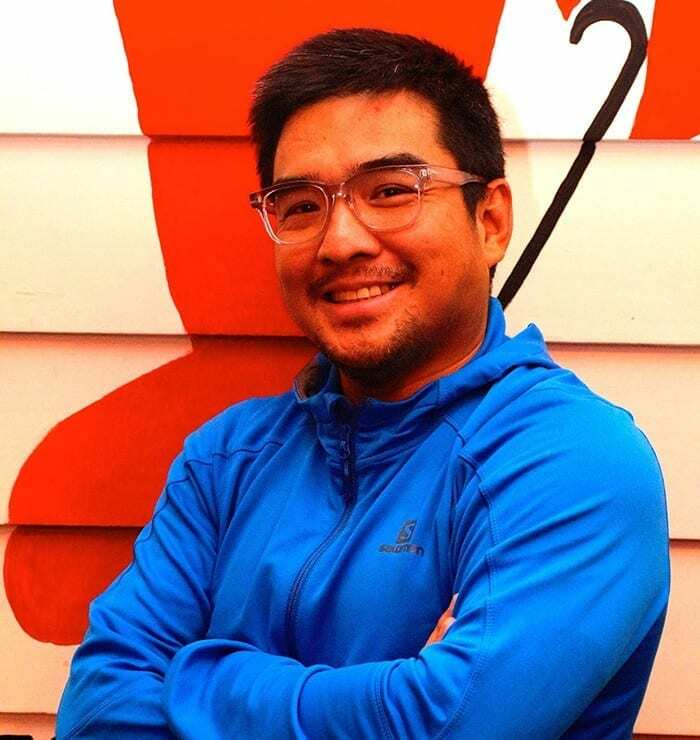 He has helped shape many seafood dining restaurant concepts (Red Crab Alimango House, ClawDaddy, Blackbeard’s Seafood Island, Crustasia, Johnny Kahuku Hawaiian Shrimp House), as well as non-seafood restaurant concepts (SumoSam and related restaurants, New Orleans, Cafe Creole, Patriots, Wolfgang’s Steak House). He was recipient of the Mansmith Young Market Masters (YMMA) awards in 2008. He shares his insights on how to compete and thrive in the restaurant industry. Q1: Competition in the restaurant business is intense. Can you update us on how consumer choices are affected with recent threats from competition and substitutes? A: Retail has indeed gone global. People around the world are watching, eating, wearing more and more of the same things. In the restaurant industry the biggest competition seems to mirror what’s happening to fashion. Filipinos are now bombarded by the same food brands they see in Singapore, Hong Kong, Tokyo and other big cities. Dry goods retail giants are now investing heavily in food. On the one hand, this is good for the Filipino “eater-outers”. This development poses a big challenge for local and “true blue” operators like us to continuously innovate and position/ reposition our concepts. Q2: From a supply standpoint, how are you coping with increasing costs like the annual escalation clause plus percentage of sales from malls ? A: Investment bankers/ venture capitalists who have been watching the local restaurant industry closely frown upon groups that locate most of their stores in malls. Malls and similar developments will always escalate rent and give you more competition year after year. So pressure is both on top and bottomlines. The long term challenge is to balance choice of locations. Getting spaces in areas where rent is low and lease terms are more flexible is a step towards this direction. I also feel that operators like us now prefer working on manageable space sizes. For instance instead of opening one big store, it is perhaps more prudent to open 2 mid-sized stores in different locations. Q3: What are the trends you see happening in the restaurant business? A: The influx of more foreign concepts I already mentioned. To balance this is another trend. Filipino food has been split up into sub and sub/ sub categories. I think it’s similar to striking some sort of “balance of trade.” We import some but maybe we could promote our own too! Imagine how Jollibee has become a legitimate global QSR brand. I hope guys like us can follow the local giants even at more modest scales. The healthy eating category is one that would continue to grow and be split up into branches. You’ll have the grab-and-go concepts like Sprout of Erwan Huessaff and the like. You also have several thriving farm to table brands. This is very good! Also more and more competition is being segmented not just by cuisines but more and more by specialty products. Menus have become much much smaller and kitchens have become more and more focused. Q4: You have many resto concepts. Which are you most excited about and why? A: Personally, my main focus is developing concepts for the growing middle class, ie concepts with average customer spending of 250php to 350php. Our group has been pushing our Blackbeard’s Seafood Island and we are almost 40-store strong. We are also launching a few more concepts targeting this growing middle market. Q5: Restaurant business isn’t easy. Choices are too plentiful. Many have lost money. What makes your group thrive? A: Our business is like running a talent management company. In order to be resilient, a healthy stable needs several concepts/ talents. A chef friend mentions how there is an imaginary rotating plate wherein the global food trends change by way of cycles. In short, at any given cycle a good group needs to have strong players. Players like us need to compete in categories where we can really make real contribution and value. We have to connect and provide our diners with food that they crave for. But also we need to deliver this in a context that is unique. Of course, nothing beats taking care of our loyal 20%-ters. Restaurant marketing is fishbowl marketing. It’s about collecting calling cards of your regulars, filing them, and communicating with them. “True blue” operators like us pale in comparison versus the new comers coming in with guns fully loaded. But what we have is the heart of true restaurateurs. We’re not in the game just for the money. Each F&B community needs people like us to be vanguards of local dining experiences. We need to make sure the tapsilog, crispy pata, grilled liempo are able to compete with ramens, burgers, and tonkatsus.